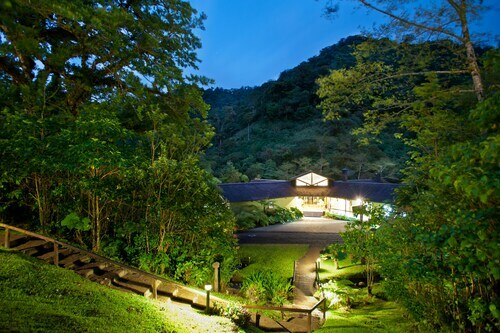 Located in Toro Amarillo, El Silencio Lodge and Spa is in the mountains and within the vicinity of Poas Volcano National Park and Juan Castro Blanco National Park. This 4-star hotel is within the region of Else Kientzler Botanical Garden and Colinas del Poas. Treat yourself to a stay in one of the 15 guestrooms, featuring private spa tubs. Your pillowtop bed comes with down comforters and Egyptian cotton sheets. Rooms have private furnished balconies or patios. Complimentary wireless Internet access is available to keep you connected. Enjoy local cuisine at Las Ventanas, one of the hotel's 2 restaurants, or stay in and take advantage of the room service (during limited hours). Quench your thirst with your favorite drink at the bar/lounge. A complimentary cooked-to-order breakfast is served daily from 7 AM to 10 AM. Featured amenities include express check-in, express check-out, and complimentary newspapers in the lobby. Planning an event in Toro Amarillo? This hotel has facilities measuring 646 square feet (60 square meters), including a meeting room. A roundtrip airport shuttle is provided for a surcharge (available 24 hours), and free self parking is available onsite. 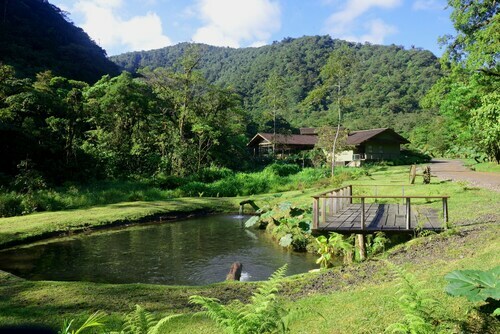 When would you like to stay at El Silencio Lodge and Spa ? Each day we'll check prices and send you an email for your selected dates at El Silencio Lodge and Spa. If you don't have specific dates but would like to check prices for say next weekend or say next month we can check the price too. Click to write a review and share your experience of El Silencio Lodge and Spa with other travellers.